We produce more than 20 million bottles a year. It all starts in the heart of the vineyard, with the care that the growers give to the vines throughout the year, from pruning through to harvesting of the vintage. 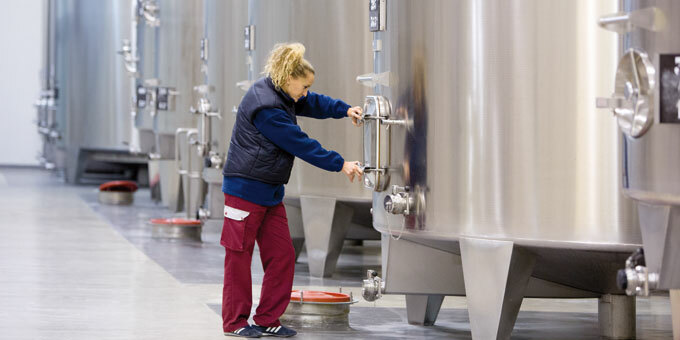 And then in our cellars where the different stages of vinification, ageing and bottling are controlled by a team of experts (oenologists, quality manager, technicians) who make our wines. 1/ We favour responsible cultivation of the vine with permanent vigilance against pollution of the soil and with protection of the fauna and flora. 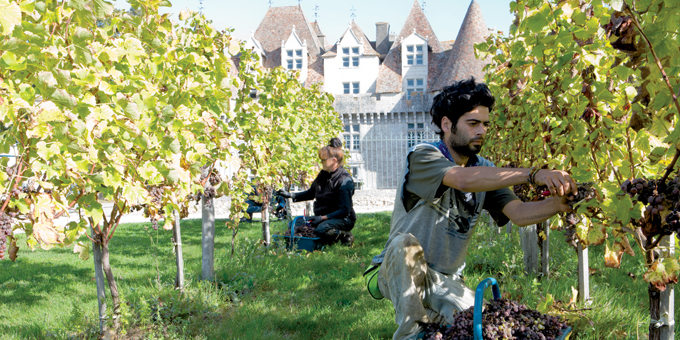 The plots are organised and classified so as to guarantee traceability of the grape from the vine to the glass. 2/ The date of picking is organised according to the ripeness of the grapes and their potential: from end-August to November according to the appellation. Our objective: to make products with taste qualities that are totally in keeping with the promise made by the grape variety or the appellation. 3/ The grapes are vinified,according to their typical characters and qualities, then the wine is aged and blended according to the technical specifications of the oenologist and the cellar master. 4/ The wine is bottled. . We take care in selecting the dry goods (bottles, capsules, corks and labels) for our products. Some of our cellars have received the mark ORIGINE FRANCE GARANTIE guaranteeing in particular the selection of dry goods manufactured in France. 5/Finally we proceed with after-bottling checks thanks to the lot numbers present on our products and our blind tastings.